It’s Monday! Welcome to the GWN blog. 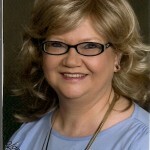 Today we have JoAnne Myers with a tip for paranormals and some blurbs for her upcoming story collection. When it comes to fiction writing, almost anything goes. That is why I love writing paranormal and fantasy stories. The author can go completely over the edge and make something unbelievable seem believable. When it comes to ghost stories, I get a lot of my inspiration from real life experiences. Not necessarily my own either. I watch television programs that partake of the supernatural and paranormal flare. Programs from ordinary people who claim they experienced either an afterlife experience, or a haunting. 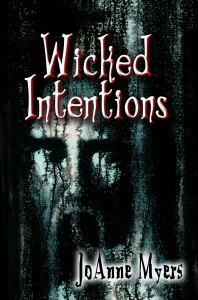 Some of my stories from my upcoming anthology “Wicked Intentions” are based on actual hauntings. Some stories I read about in the newspaper, and others I watched on true life experience programs. So the next time you get “writer’s block” try switching on the television. You might find something to jolt your inspiration. After the mysterious disappearance of twenty-six year old wife and mother Lisa Smalley, her twin, Attorney Audra Roper, begins having dark and disturbing visions of Lisa’s disappearance. After taking on Lisa’s identity to flush out the person responsible for Lisa’s disappearance, Audra is thrown into a series of perils. Trying to survive while looking for Lisa, Audra’s life becomes a roller coaster of risks, heartbreak, and intrigue. Even as a child, Barb Marie saw dead people, which terrified her parents. With no one to talk to about her gift/curse, Barb kept her secret to herself. This took an unhealthy toil on her throughout her childhood and young adulthood. When twenty-nine year old Ginger discovers the old mansion Summer Wind, she is mysteriously drawn to it. She and her second husband, thirty year old Mike purchase the home and the family moves in unbeknownst to them the place is haunted by evil spirits. Immediately, the haunting’s have a negative and profound effect on the family. Solving the brutal murder of American born Ruthie Geil becomes a gauntlet of attacks and more murders for Federal Police Inspector Ian Christian. Between the victims family, ex-lovers, and ghostly occurrences on Norfolk Island, the killer is closer than anyone realizes. For the young psychic Cassandra Lopez, coming to the infamous haunted mansion Lake Manor, was more like a mission. She knew the Manor and its employees needed her help to rid the home of specters, consisting of a young a slave boy, two wrongfully hanged men, a ballerina, a thieving bartender, and a pregnant woman. When young newlyweds Bill and Gayle move into their new apartment, their lives are plagued with sightings of evil ghosts that threaten their marriage and lives. Not until they contact a psychic and rid the home of its murdered occupants does the couple find peace and happiness. When Carrie Reynold’s starts having nightmares on her twenty-sixth birthday, she believes her “dark visions” can solve the twenty year disappearance of her father. I hail from the famous Hocking Hills region of southeastern Ohio. I have worked in the blue-collar industry most of my life. Besides having several novels under my belt, I also canvass paint. When not busy with hobbies or working outside the home, I spend time with relatives, my dogs Jasmine and Scooter, and volunteer my time within the community. I am a member of the Hocking Hill’s Arts and Craftsmen Association, The Hocking County Historical Society and Museum, and the Hocking Hills Regional Welcome Center. I believe in family values and following your dreams. Sounds like some interesting stories in your collection. I love watching those paranormal shows. They do spark some ideas.